If you are unable to adopt, but would like to help save these wonderful horses, you can still assist in many ways. All donated funds go toward helping slaughter-bound, neglected, abandoned or at risk horses. 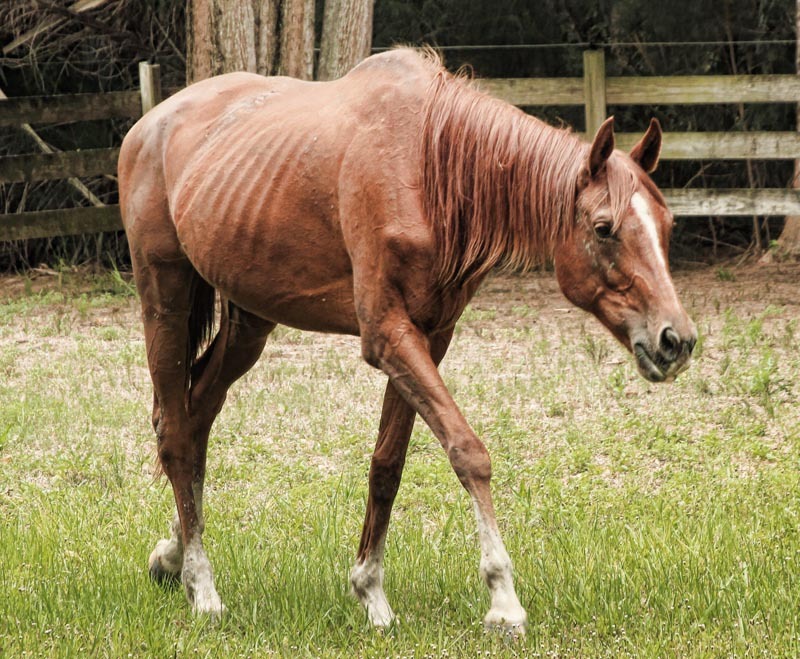 Asking for your financial support is the only way we can Rescue Horses. Donations of all sizes help us provide our rescued horses with the loving care they need to complete their Rehabilitation and prepare them for their forever homes. Even a small donation can be the difference between life and death for a kind and gentle horse! Introducing Chanel, a horse featured at Amberdell Equine Sanctuary. 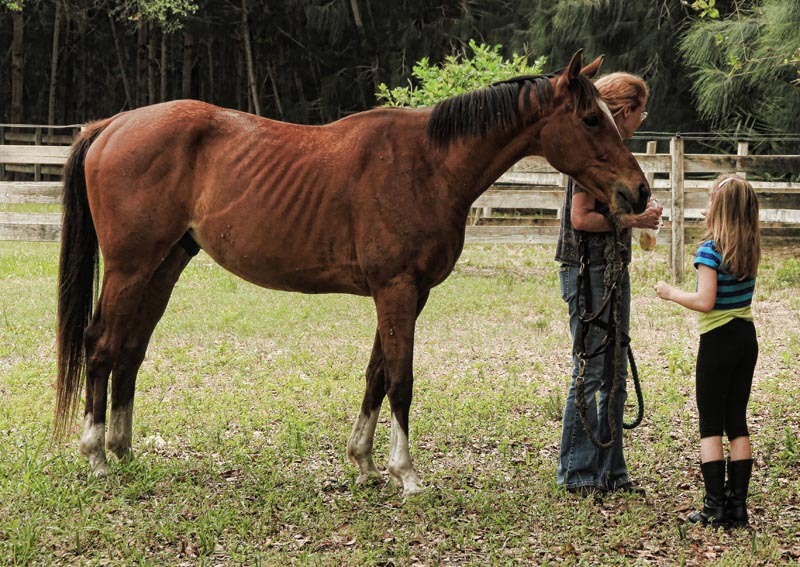 Rescued when she was a 10 year old thoroughbred mare who was found abandoned and starving in a decaying orchard in central Florida, this photo was taken the day she arrived at our facility in May 2013. 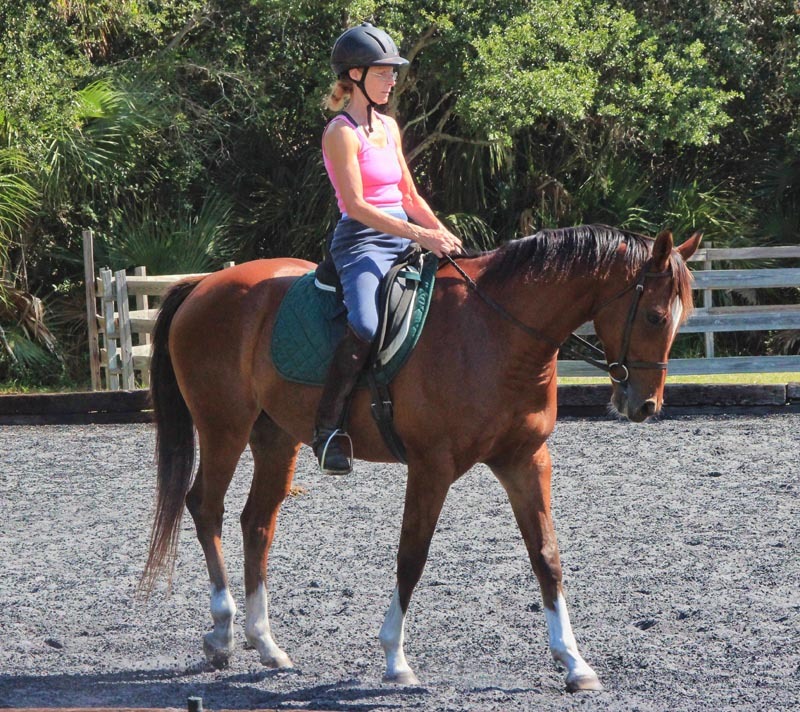 Introducing Knowa, a horse featured at Amberdell Equine Sanctuary. 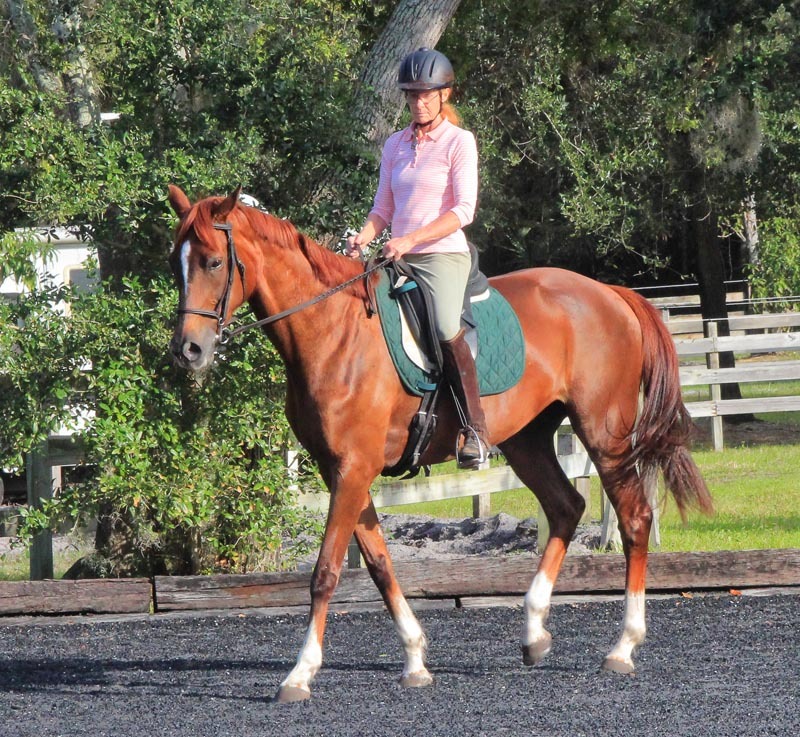 Rescued when a 6 year old thoroughbred gelding who was found abandoned and starving, this photo was taken the day he arrived at our facility in May 2013.